Kaufolds is happy to offer many types of kids playhouses that will keep kids entertained for hours. The Victorian playhouse below is offered in many sizes and is a great addition in any backyard. 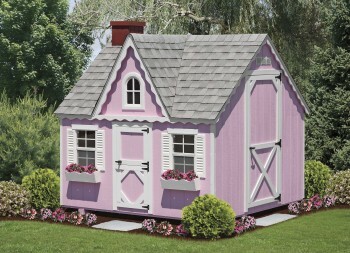 We are happy to offer our playhouses in Long Island, NY as well as online to our customers.